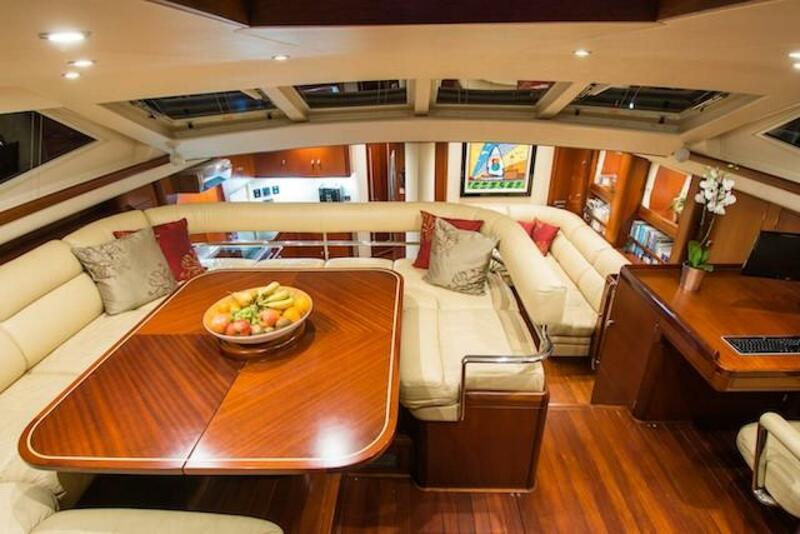 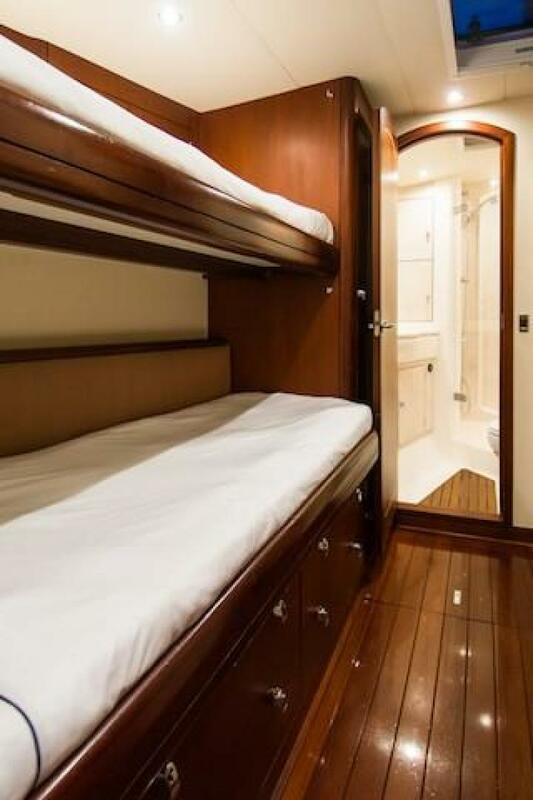 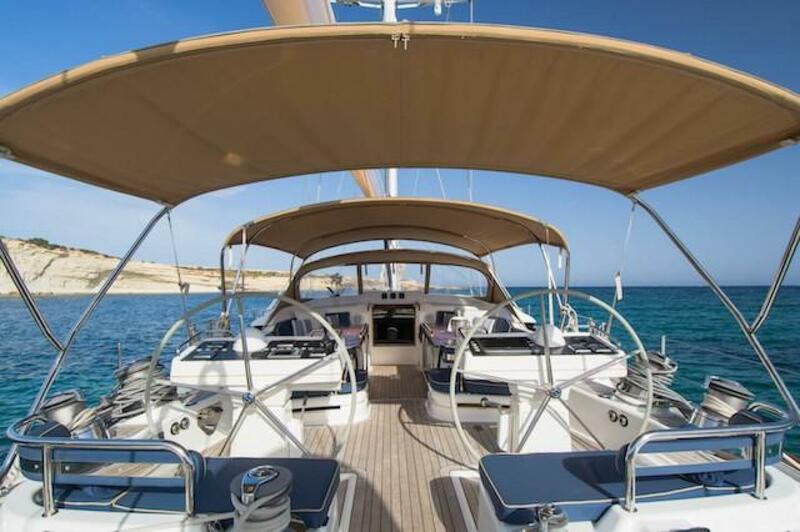 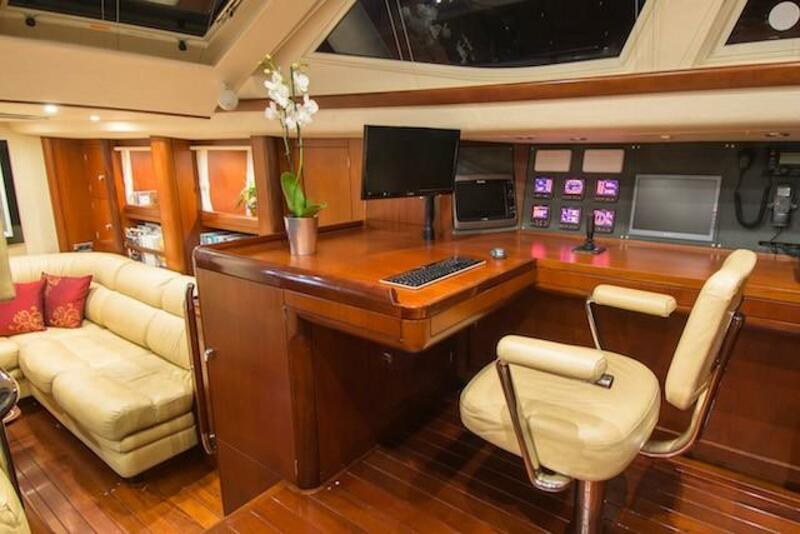 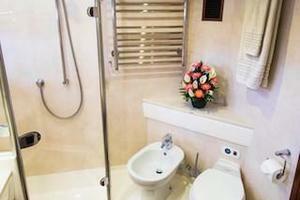 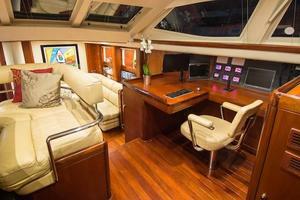 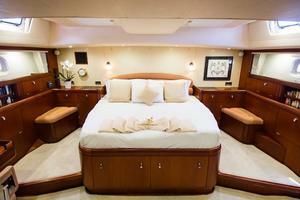 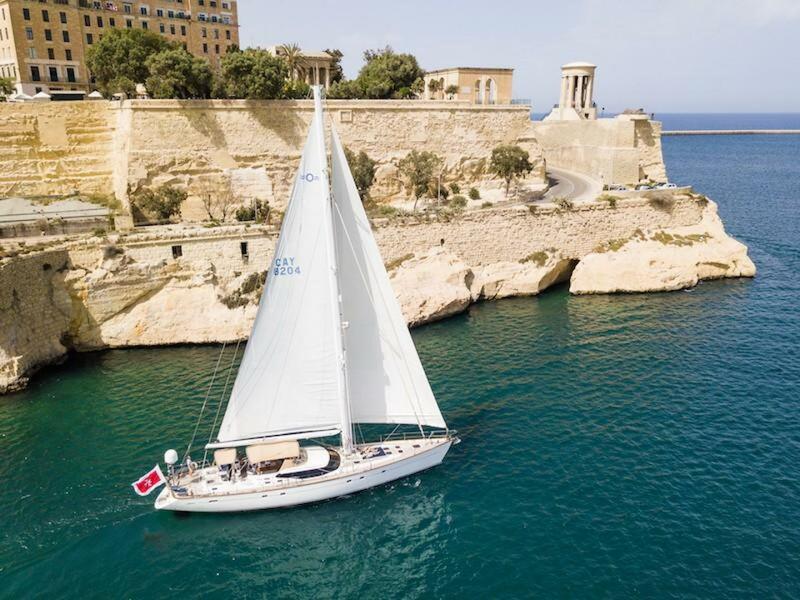 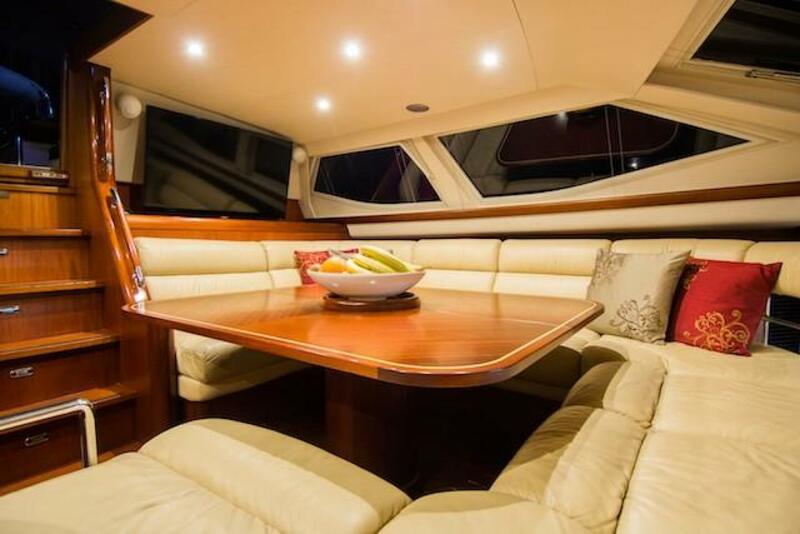 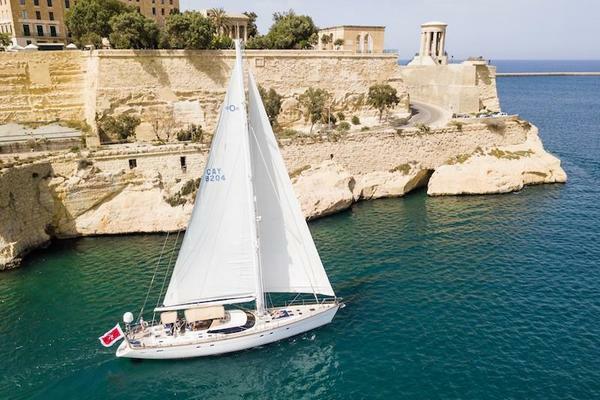 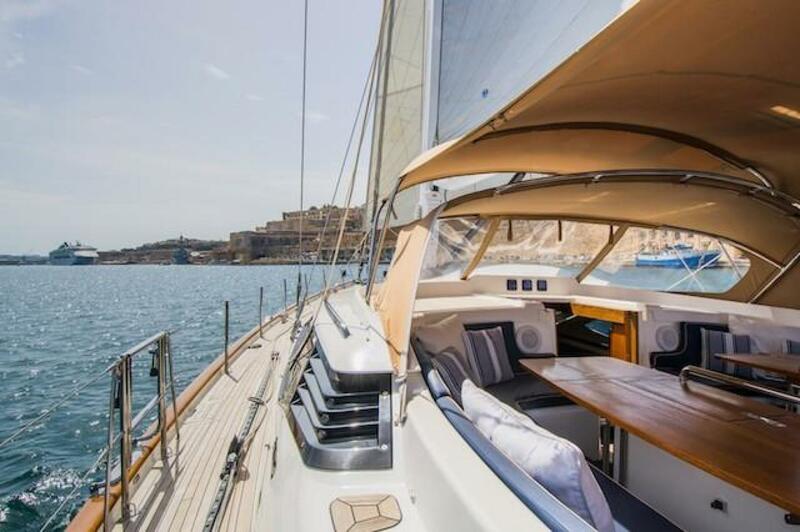 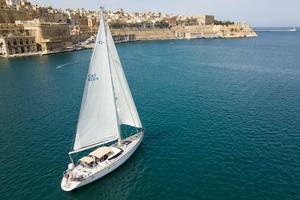 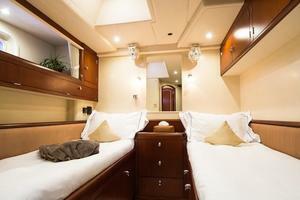 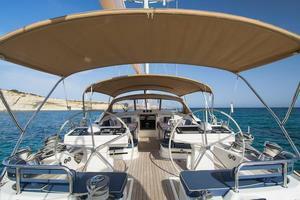 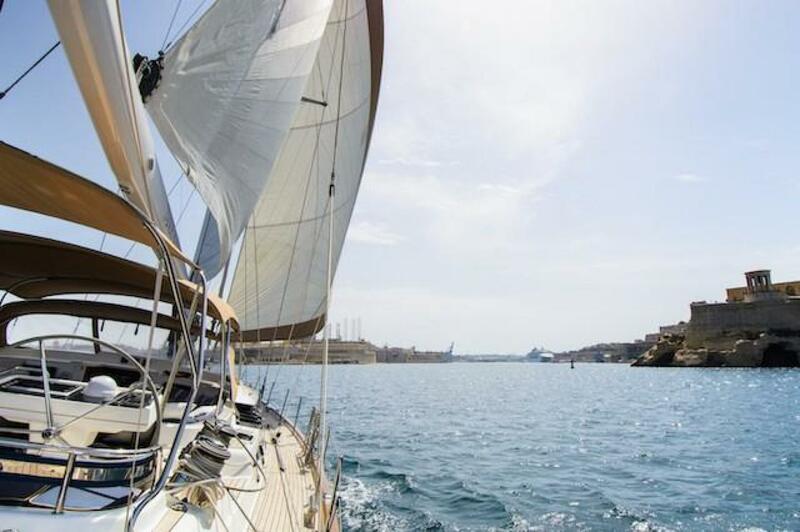 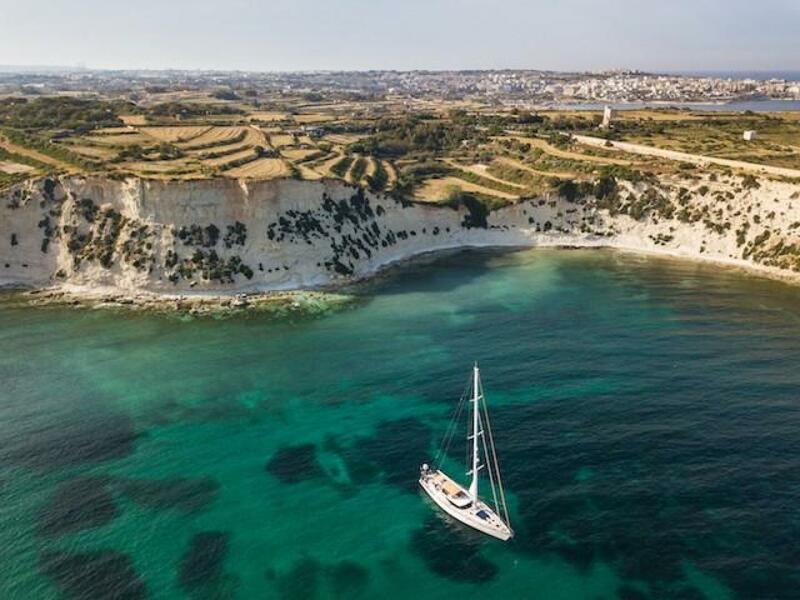 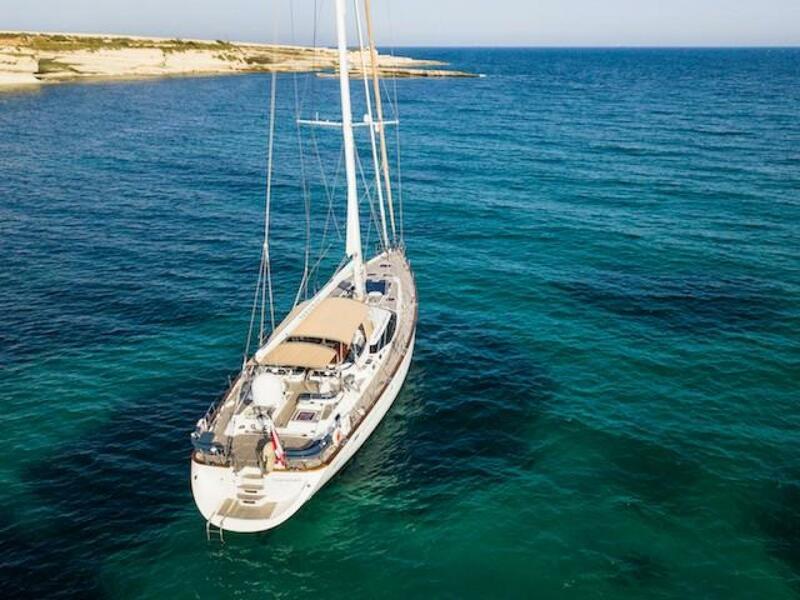 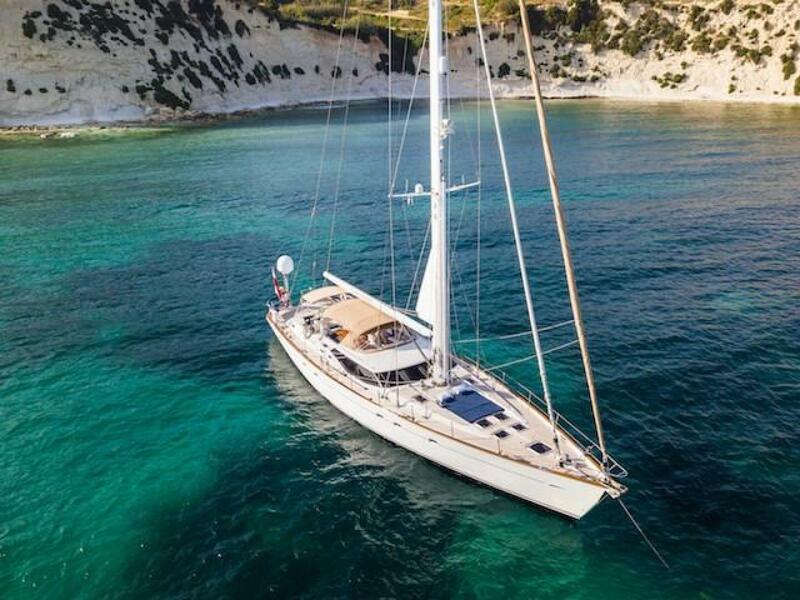 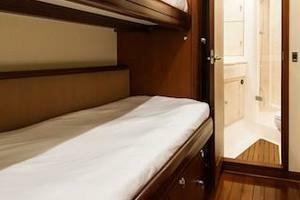 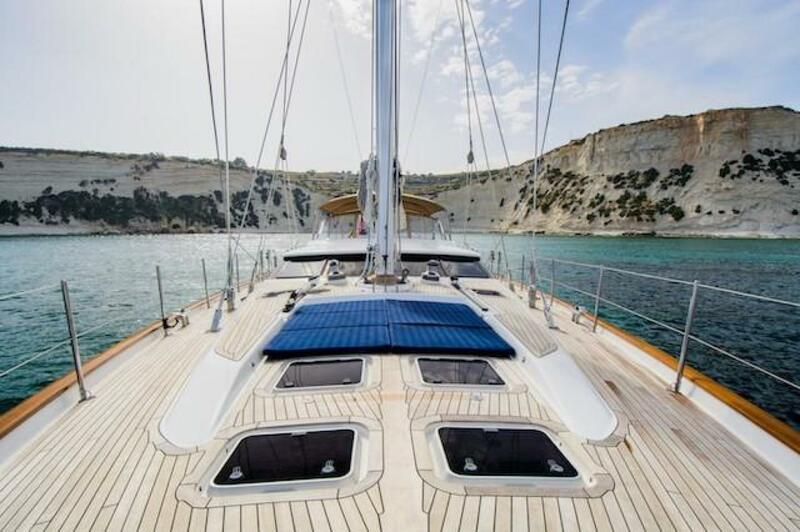 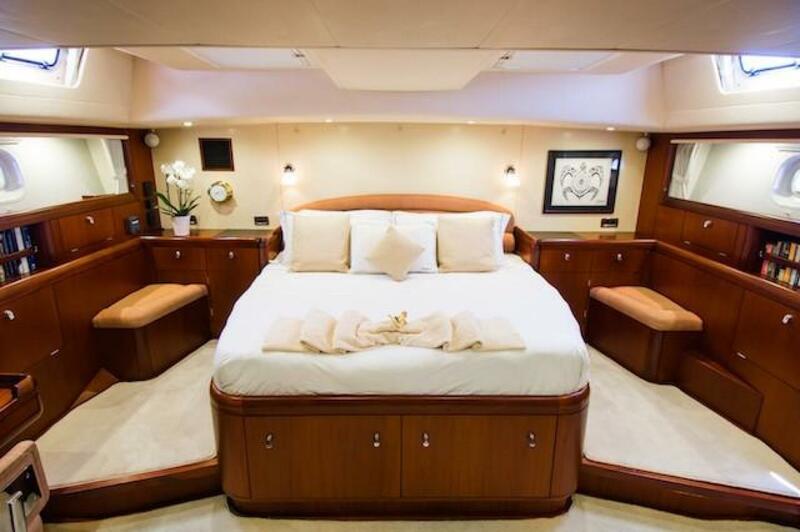 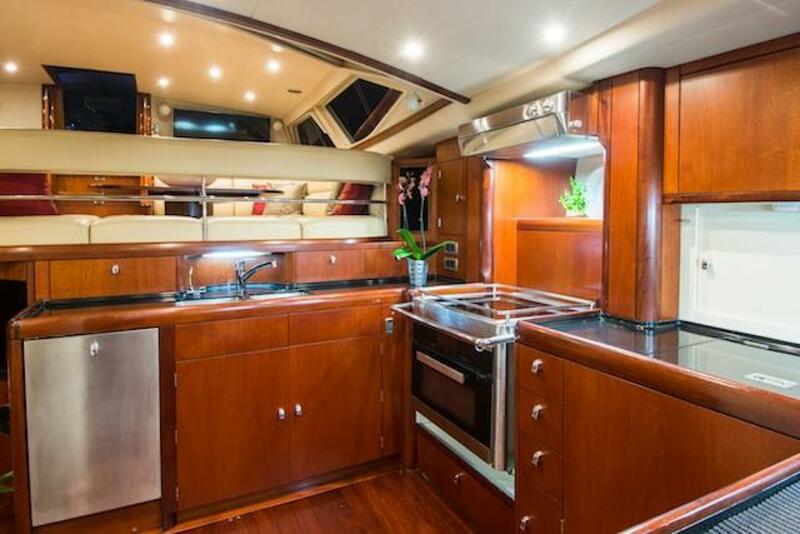 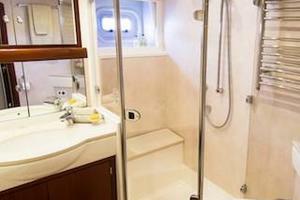 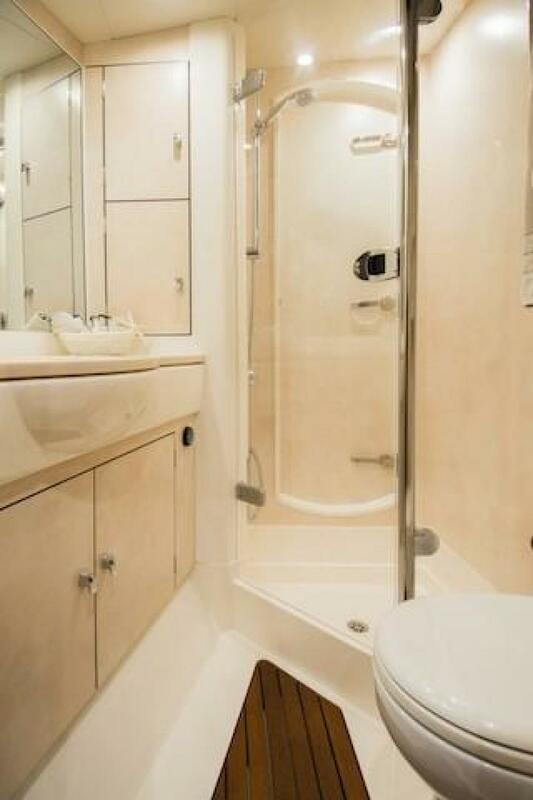 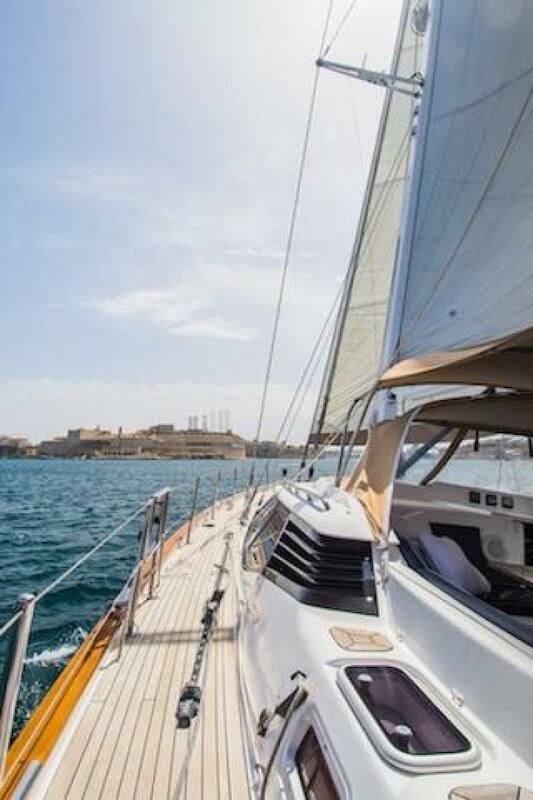 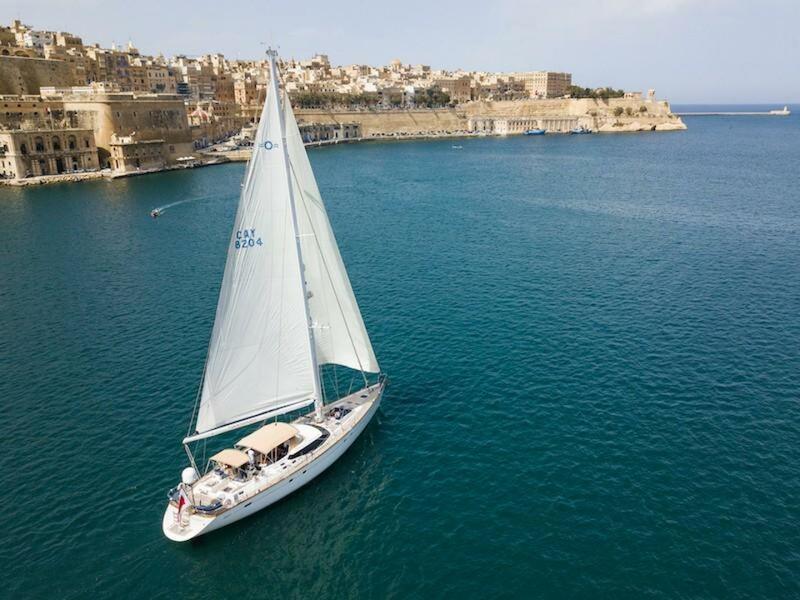 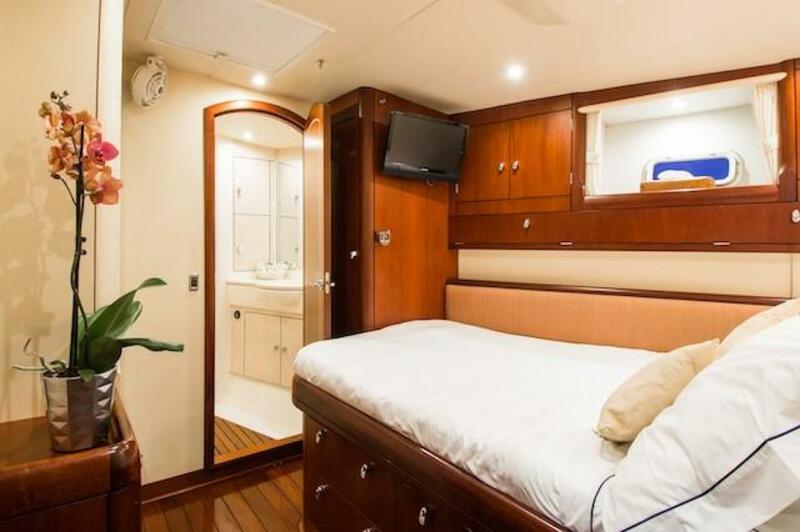 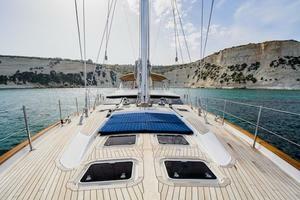 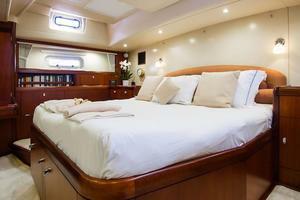 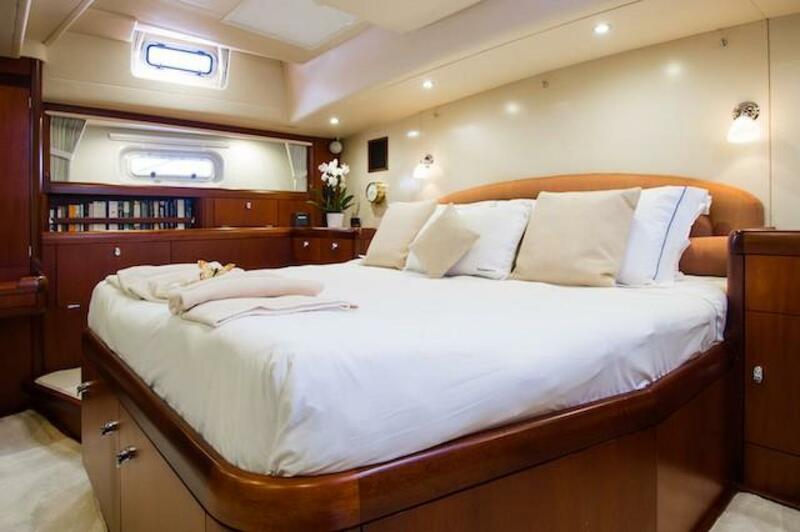 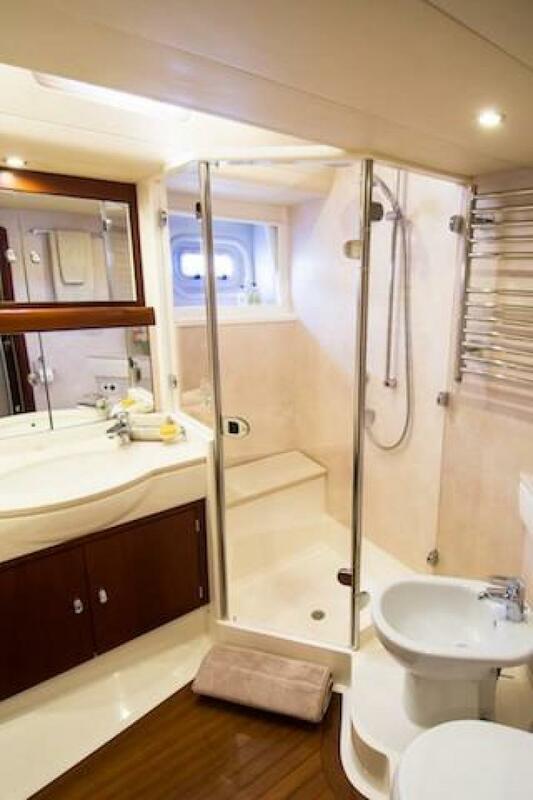 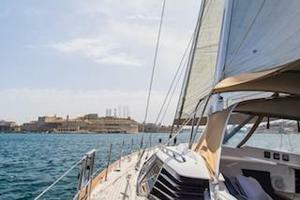 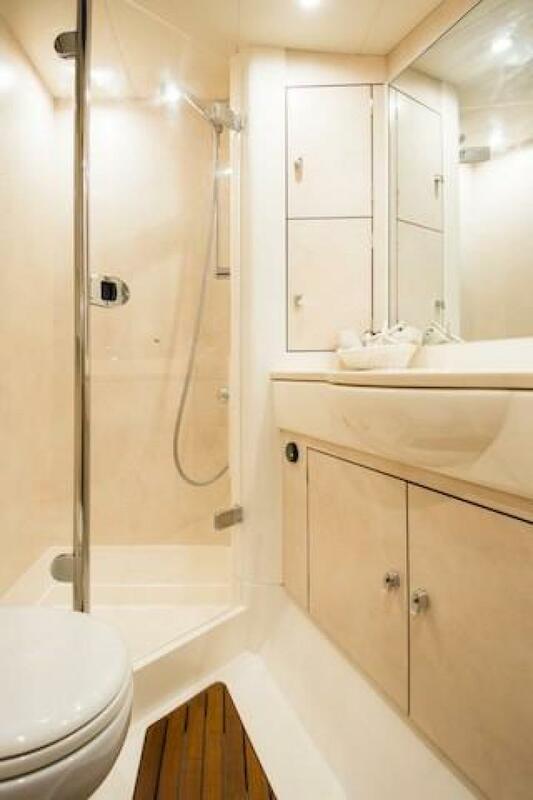 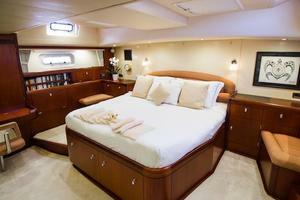 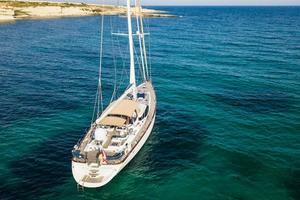 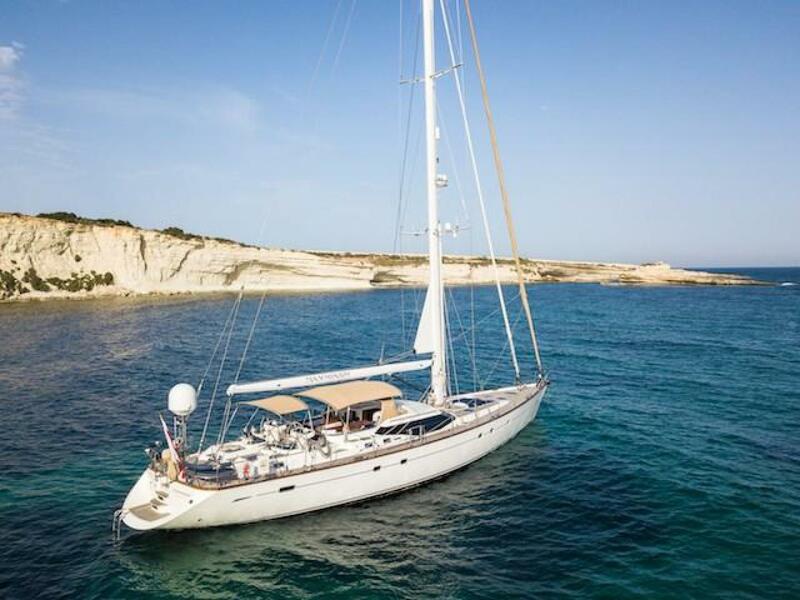 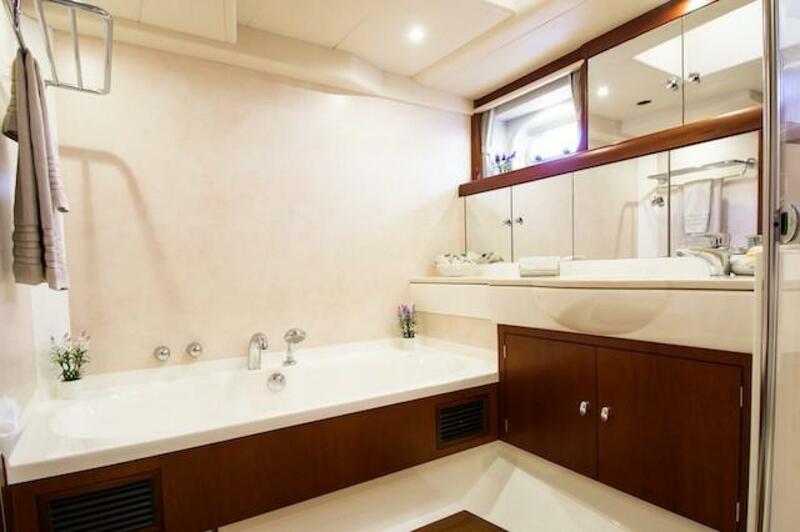 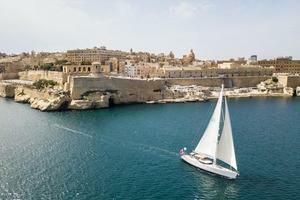 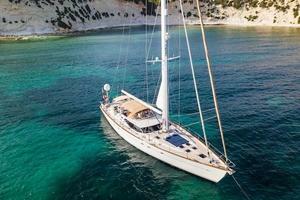 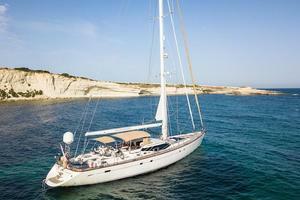 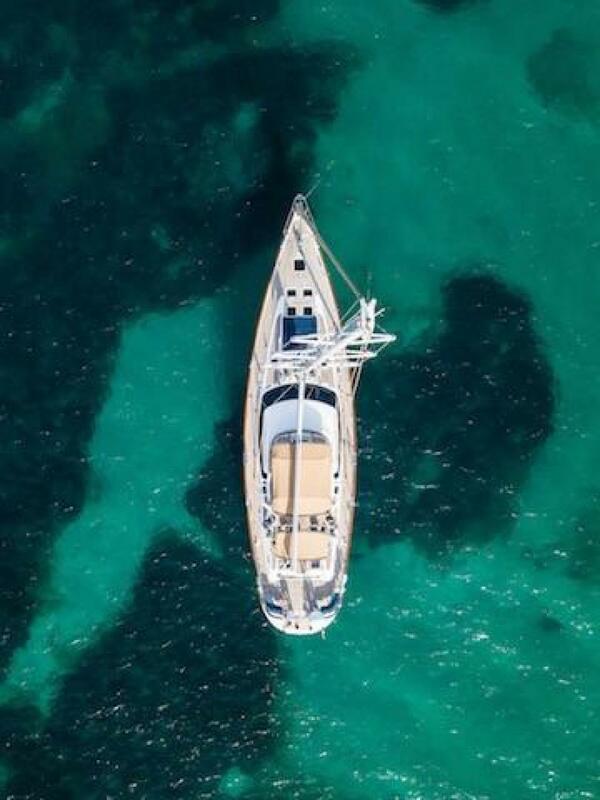 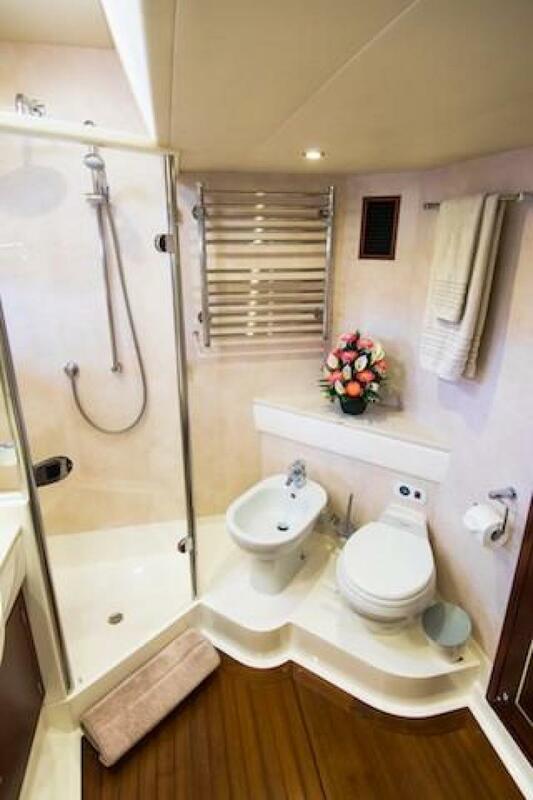 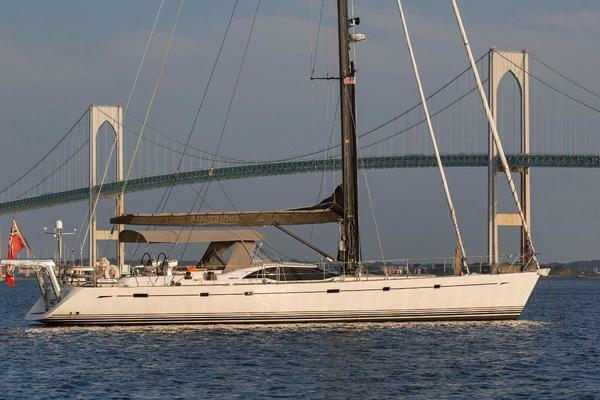 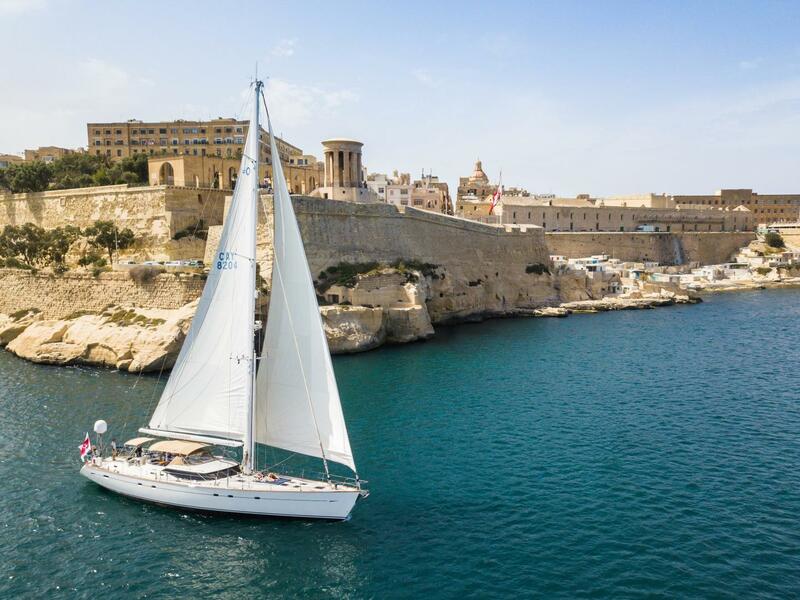 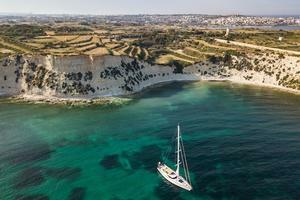 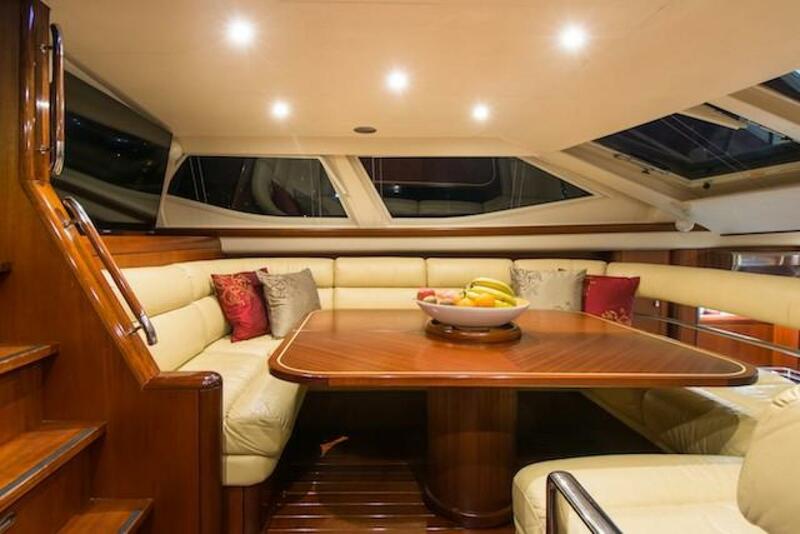 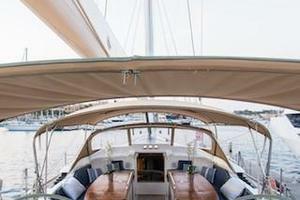 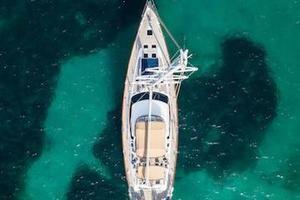 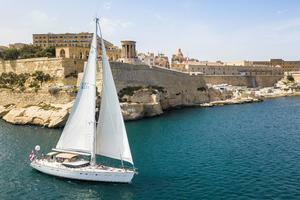 She is now located in Valletta, Malt for the summer season and seriously for sale. 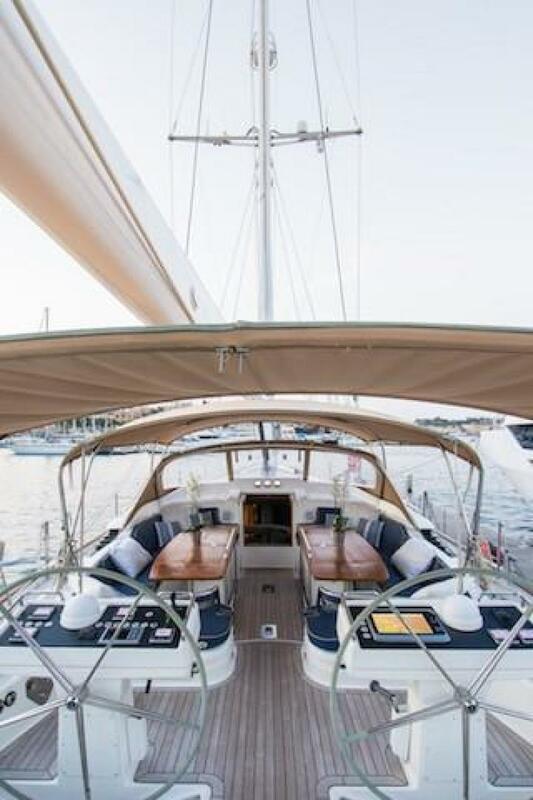 Moldedin GRP with balsa core for strength and insulation, featuring Oyster’s renowned Deck Saloon profile with eyebrow styling (repainted June 2015). 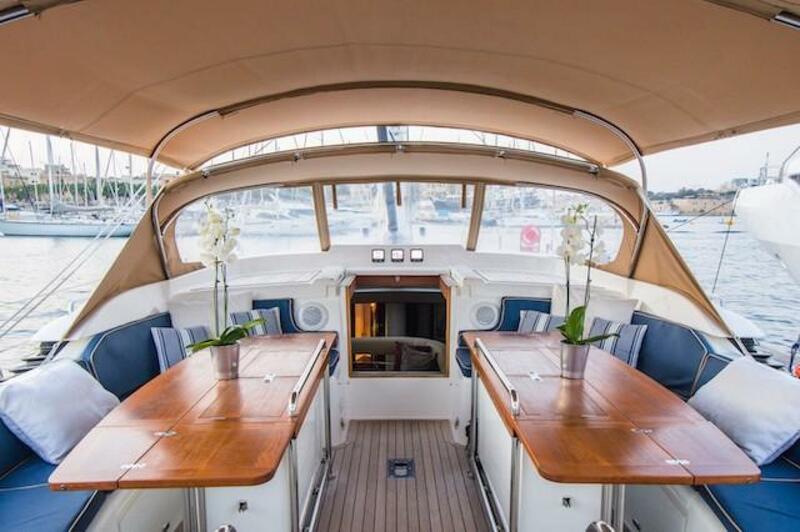 Teak laid decks (new June 2015), gloss varnished teak capping rail with stainless steel fairleads. 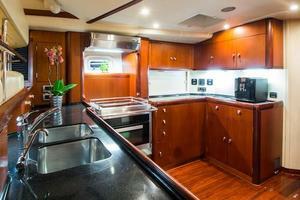 New stainless steel rail fitted to outside of cap rail for docking along pilings. internal lighting and a substantial stainless steel grabrail. Raymarine Smart Pilot S3G with Whitlock Mamba 24V 1/2hp drive unit close coupled to the reduction gearbox at the rudder head.